My son is on the mend and has returned to his own house to finish recuperating from surgery last week. My thanks to everyone who emailed and posted good wishes. You’re the best. I’m getting back into the swing of things myself. Though my parental fretting shut down fresh creativity for a while, cleaning my document files last weekend got me seeing possibilities again. Yesterday I found myself working on my magnum opus. If it’s your first time here, that’s my enormous 500k-word as-yet-unnamed labor of love I was working on when I decided to take a brief detour as a romance writer. Who knows where that small creative flame may take me today. I mentioned the other day that I’m an info hoarder and my laptop’s document folder is like the ubiquitous junk drawer. You know, that catch-all in the kitchen that holds too many rubber bands, wine corks, and other odds and ends that mysteriously multiply over the course of the year? 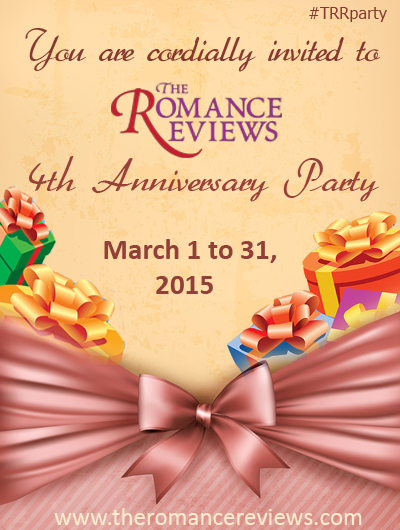 Some of the things I’ve found are bits of writing from my two favorite events from Aprils past– the Authors in Bloom blog hop and the A to Z Challenge. Until my usual urge to blog over my morning coffee returns, I’ll be sharing some more past A to Z posts. They’re pretty good if I do say so myself. As I’ve already offered A and B, today it’s C. I hope you enjoy. Fifty-four years ago, Lucien Blancou coined the term Cryptozoology out of a combination of three Greek words: kryptos, zoon and logos, which mean, respectively, Hidden, Animal, and Discourse. By definition, it is the study of unknown animals. Global exploration expanded when man mastered the sea. New uncharted lands held strange plants and animals never before seen. These native legends, rare sightings, and tales of inexplicable bodies seemingly made of parts, weren’t believed to exist. On this skeptic’s list from the past are creatures we all know today. Here are just a few: giraffe, kangaroo, tapir, beaver, okapi, panda, duck-billed platypus, Komodo dragon, orangutan, and the living fossil fish, the coelacanth. Several years ago I came upon a local legend and recently wrote a what if story around it. Waste and habitation have always gone hand in hand. Humanity’s sloppy habits reveal themselves in our midden piles, cesspits, latrines and the like. Somewhere along mankind’s history someone decided this waste could be washed away by water and so the short-sighted habit of polluting waterways with human excrement began. Woe be to anyone downstream. Unfortunately this out of sight out of mind mentality came with dire consequences — the spread of disease. In Victorian London of 1854, the prevalent view on disease origins wasn’t on germ theory – that idea that microbes were causes of disease. That would come later in the century with Pasteur and others blaming germs for all manner of ills. Doctors and scientists in the mid-1800s were still going by the erroneous opinions of the Roman empire’s own Greek physician, Galen, who believed disease was caused by air-borne miasma. Example: It wasn’t the bacteria in the water you drank that gave you a deadly case of diarrhea. The fetid smell of the nearby cesspit was to blame. It sounds rather ridiculous now, but if you think about it there was a sort of truth to that suspicion. We often use our noses to determine if something is spoiled and if presented with a choice, we certainly wouldn’t eat or drink something that smelled bad. I think this long-standing miasma belief was instinctual — a subconscious intuition that bad things could come from foul pools of stagnant water and we should steer clear. Today we know without a doubt that mosquitoes are vectors that transmit many diseases. Mosquitoes breeding in stagnant pools give us Malaria, Yellow Fever, West Nile, Dengue, Filariasis, and several varieties of Encephalitis. High population and lack of proper sanitary services saw London’s Soho district’s cesspits overflowing that hot August of 1854. It was so bad in fact, the summer was referred to as The Great Stink because of it. As everyone believed bad smells caused disease, what else to do but flush those cesspits right into the River Thames. Just prior to the flushing, the residents in one area were hit with a small outbreak of profuse diarrhea and vomiting of clear fluid (literally gallons a day until they either recovered or died). After the raw sewage waste of the infected was washed into the river, it contaminated the public water pump and an epidemic began. In a span of a week a full 10% of the very crowded neighborhood perished. Local physician, Dr. John Snow was a longtime skeptic to the miasma theory. For years he tried, unsuccessfully, to convince his peers cholera was a water-borne disease. Seeing opportunity for answers with this localized outbreak, he teamed up with Reverend Henry Whitehead (a man who knew just about every man, woman, and child in his parish) and began asking questions. They soon discovered the afflicted drew water from one specific pump. Dr. Snow confirmed the contamination by viewing a water sample through his microscope and finding the boomerang-shaped bacterium — the same bacterium present in the bodily fluids of the sick and dying. On a hunch, he lobbied for the pump handle to be removed. On proceeding to the spot, I found that nearly all the deaths had taken place within a short distance of the Broad Street pump. There were only ten deaths in houses situated decidedly nearer to another street-pump. In five of these cases the families of the deceased persons informed me that they always sent to the pump in Broad Street, as they preferred the water to that of the pumps which were nearer. In three other cases, the deceased were children who went to school near the pump in Broad Street. With regard to the deaths occurring in the locality belonging to the pump, there were 61 instances in which I was informed that the deceased persons used to drink the pump water from Broad Street, either constantly or occasionally. 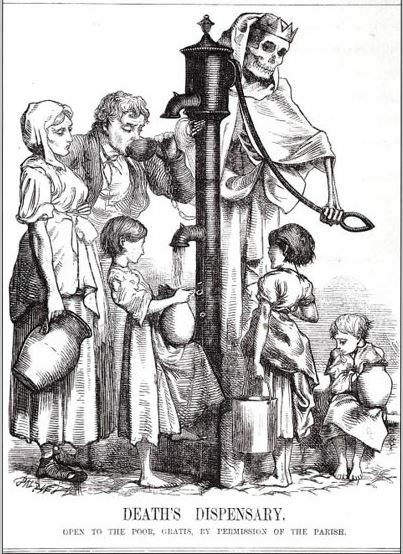 The result of the inquiry, then, is, that there has been no particular outbreak or prevalence of cholera in this part of London except among the persons who were in the habit of drinking the water of the above-mentioned pump well. I had an interview with the Board of Guardians of St James’s parish, on the evening of the 7th, and represented the above circumstances to them. In consequence of what I said, the handle of the pump was removed on the following day. fascinating book on the subject. I recommend. You may ask yourself why anyone would reproduce deadly diseases in the laboratory. you better your chances of fighting it. 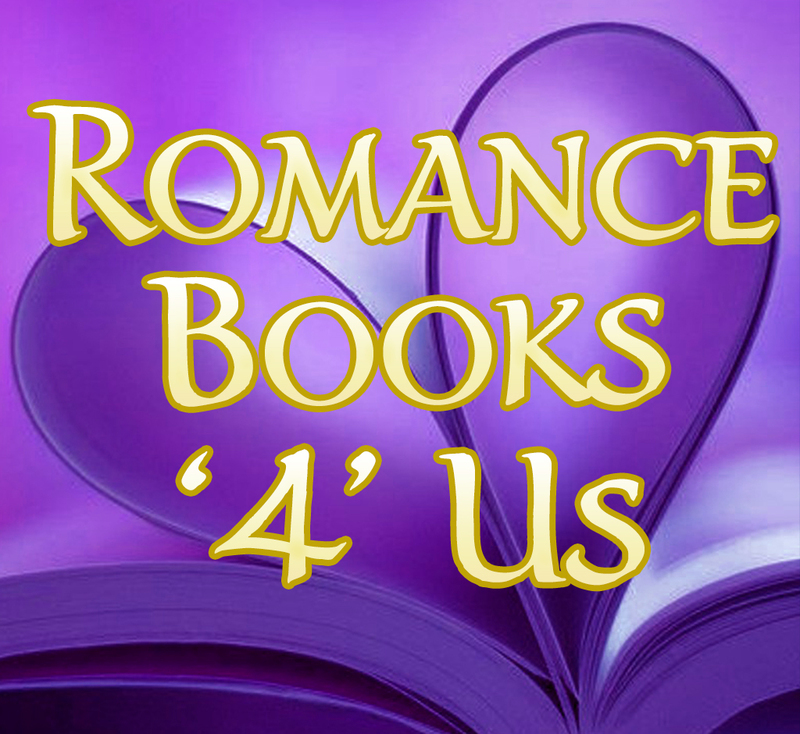 This entry was posted in Past Posts - you'll never know what you'll find and tagged A to Z Challenge, Cholera, Cryptozoology, Loch Ness Monster, Romance, romance novels, Rose Anderson, the Victorian era, Writing. Bookmark the permalink. The stories of cholera remind me of some ot the training movies we had in Hospital Corps School on days when the instructors had gotten ahead of the lesson plans. Two movies stand out in particular. One was showing a man chained who had rabies. The film ran until he died. Sick, but someone in Indonesia made it. Another was made by the company that makes Maalox. The native people used it to paint their bodies instead of drinking it. For severe headache they would open the skull by abrading it wit a rock. This is sort of like surgeons relieving pressure on the brain with bur holes in the head. On a different subject we had 20 films in our inorganic chemistry class by a professor who should never have been allowed in a lab by himself. He kept blowing things up when that was not his intention.